Start 10:36am. at white roadsign "Governo da Provincia de Nampula, Centro de Formacao en Governacao .., Local de Namita" on the N8-hwy to Maputo. 26c, allm. clear and l. wind. Finish 15:44pm. At blue river-signboard "Niwureacu" river, at S. side of river-crossing on the N8-hwyto Maputo. 32c and same. Toady Sarah got me back on 42km-and-above.. Very inspiring to have a co-runner :-) In a long run like world runs, but I think also at a 10km trainingrun at your homegrounds, it adds about 20pct. capacity - and also Joy to the run ! Many of my good friends from the huge running club of Mors island in denmark, couriously named "Pain & Agony" / Pinen & Plagen ;-), took part in Amsterdam Marathon today ! 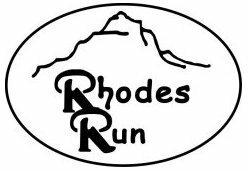 So it seemed fitting to join them in distance on a road in Northern Mozambique..
Best Wishes of an Enjoyable run to my 'family on Mors' Rie& Ole, Trine and to all the other runners taking part. Not least Reino Uusitalo from Finland who after the marathon will fly direct to Africa to join meon the Mozambique stages for 2months !